Join us for a nurturing weekend in spa country to celebrate the Winter Solstice. We are heading back to Continental House in lovely Hepburn Springs to enjoy a weekend of Vinyasa Flow, Yin Yoga and Meditation. Over the weekend you will have the opportunity to deepen your connection and understanding of your practice. At the dining table share stories, make new friends with like-minded people whilst you nourish your body with delicious meals. When you're not eating or on the mat you will have the option of getting out and enjoying the local area, a soak at the Hepburn Springs Bathhouse & Spa, fill up your water bottle at the mineral springs or simply curl up by the fire to read and relax. Friday afternoon we will meet at the retreat location and enjoy a welcome yin yoga & meditation class before dinners to stretch, breathe and wind down the day. Saturday morning will start with a dynamic vinyasa flow workshop focusing on hip openers to release tension and emotion before a nutritious breakfast. After breakfast you are welcome to join us on a silent meditation walk or enjoy some free time. 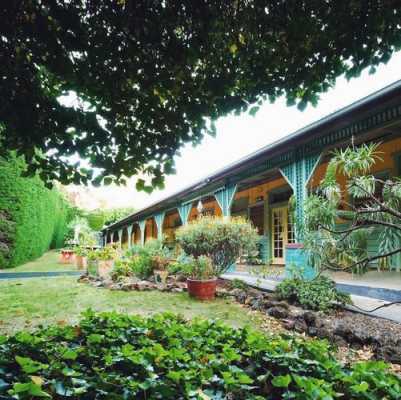 After lunch you'll have the opportunity to soak and relax in the beautiful Hepburn Springs Bathhouse next door. We will host a complimentary Posture Clinic in the afternoon as an optional extra session for those wanting to refine their technique and alignment. This will be followed by a blissful yin yoga and meditation class to promote relaxation with an appetising dinner to follow. Sunday morning before breakfast we'll greet the day with an energising power flow class focusing on opening through the heart space. You may choose to indulge in the cultural bathing experience of the marble Turkish Hammam at our retreat location or a pampering massage treatment. After our farewell morning tea you can choose to explore the region, or start heading back to Melbourne feeling recharged and relaxed. All meals, snacks, accommodation, yoga and meditation classes included. Visit to Hepburn Springs Bathhouse & Spa in an optional extra activity.